Energy Action is a leading provider of Energy Procurement, Contract Management and Advisory Services employing more than 160 people. 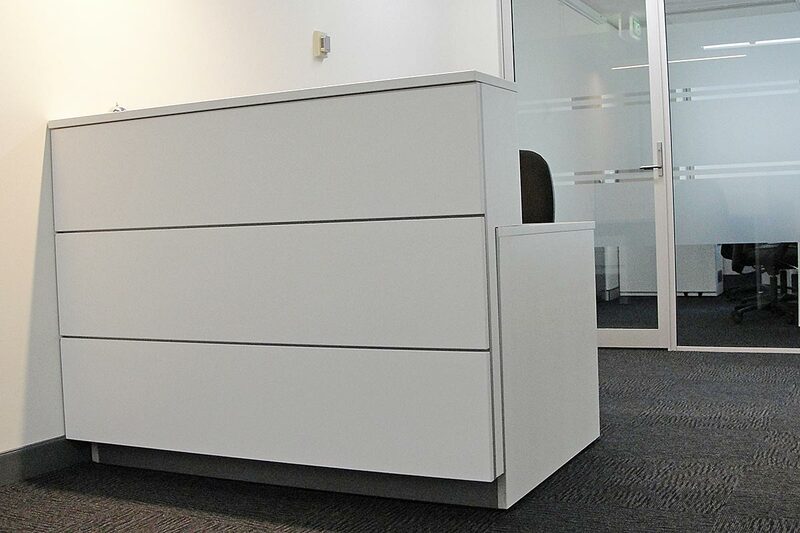 Construction of an office fitout over two levels at the same time. Increasing the number of office staff on level ten while creating modern private meeting rooms on level nine. 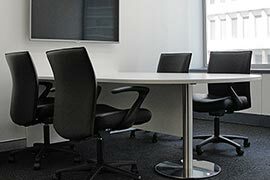 Boardroom fitout with easy to use state of the art audio visual equipment. 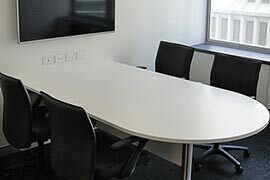 Construction of meeting rooms complete with 60” televisions for video conferencing. Re configuration of workstations reusing as many of the existing parts as possible to keep costs down. Provision of a breakout area were staff can meet and collaborate. Construction of a spacious manager’s office where private conversations can be held. Building a reception and waiting area that was modern, functional and aesthetically pleasing. 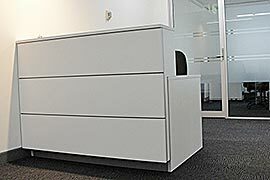 All of the works had to be carried out while the fitout was in occupation with no inconvenience to staff or clients. Effective communication with the client throughout the whole process and hour by hour planning enabled us to keep one step ahead and complete this seemingly impossible task within the tight deadline. "Apex Executive Interiors ticked all of the boxes for a successful fit-out of existing and new office premises for our tenancy. They maintained a fine balance between practicality, cost and speed whilst satisfying the needs of key internal stakeholders. They were also able to provide assistance outside of the project scope and understood the importance of minimal disruption on office staff during the fit-out period."